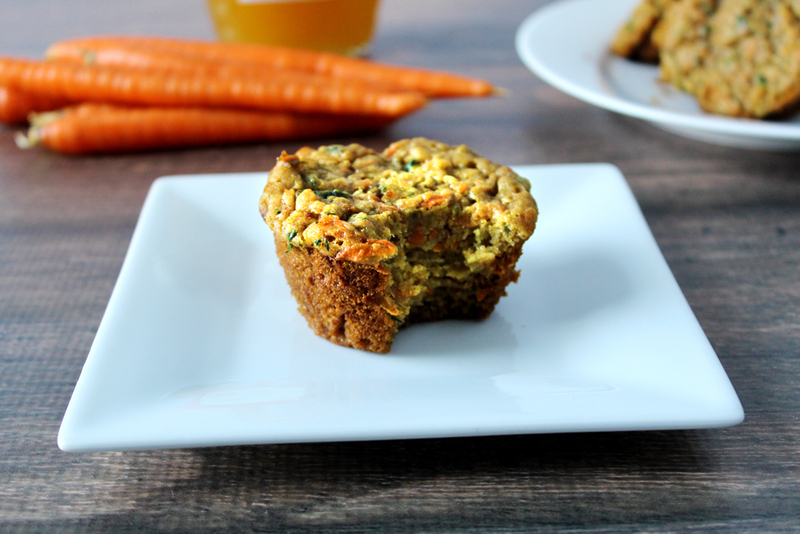 Healthy zucchini carrot muffins! The good news is that I don’t mind grating/shredding zucchini. What I didn’t think of ahead of time was how much easier it would be to buy pre-shredded carrots. Oh well, I got an arm work out, and I got organic shredded carrots. I will admit that I was incredibly surprised, in a very good way. I was hesitant as to how zucchini carrot muffins would taste, but let me tell you, they are SO moist, delicious, flavorful, and so darn tasty! 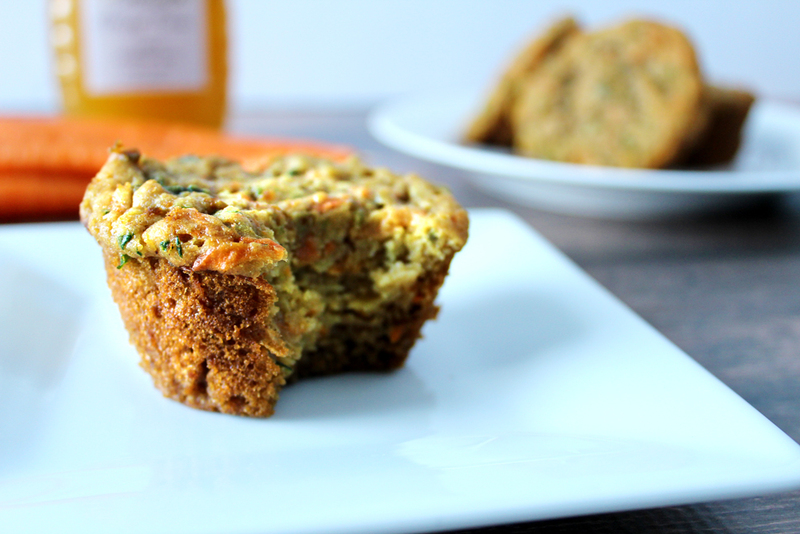 Who knew a muffin with two vegetables in it could taste so divine? I am so glad I found this recipe and was able to adapt it to a way that fit my needs. Warning: this recipe only makes about 7 big muffins, so next time I would either make mine smaller, or double the batch. (There will be a next time)! 1. Pre-heat your oven to 350 degrees, and misto-spray your muffin tin. 2. In a medium mixing bowl, whisk together the flour, salt, cinnamon, nutmeg, and baking soda. 3. In a separate mixing bowl, whisk together the butter, vanilla extract, honey, maple syrup, and egg. 5. Now, add the grated zucchini and carrot and continue to mix with a wooden spoon. 6. Distribute the batter evenly to the muffin tin. 7. Stick in the oven for 15-20 minutes. 8. Let cool, and enjoy!